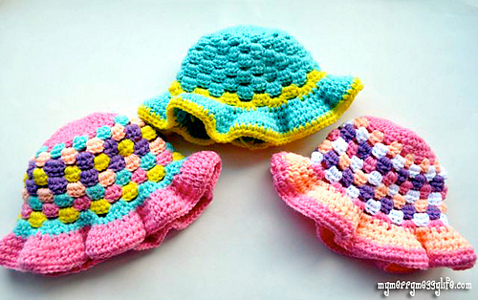 Summer is here, but that’s no reason for the crochet fun to stop! 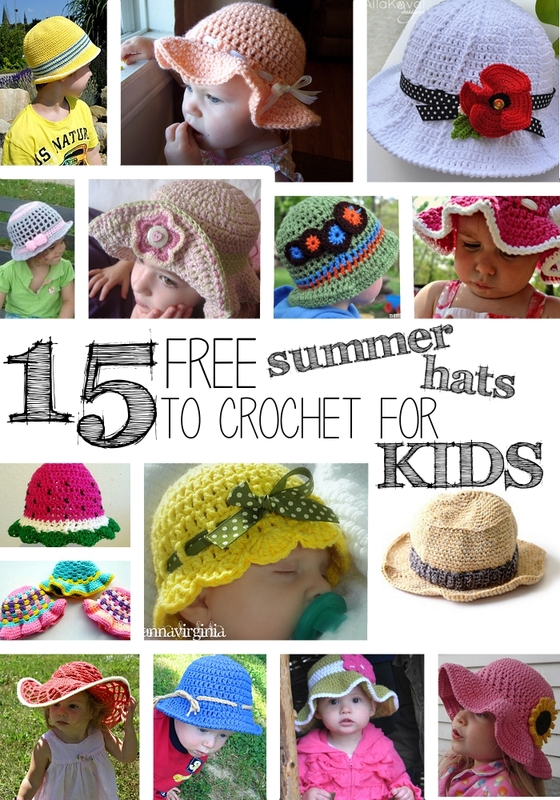 Here’s a collection of 15 free crochet patterns to make summery hats for all the little people in your life. 1. Ocean and Sun Hat from My Hobby is Crochet. 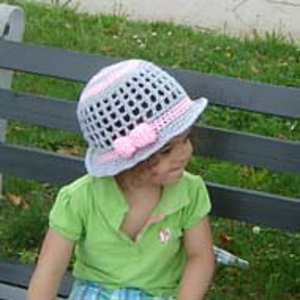 A simple little striped bucket hat, it is perfect for boys or girls and is just right for adding embellishments to! 2. 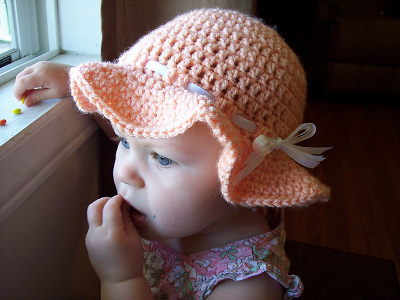 Peach Happy Sun Hat by Corina Gray from Stitch11. This lovely floppy hat was intended to protect the designer’s daughter’s bald baby head from summer sun, but it’s available in baby, toddler, child, and adult sizes. 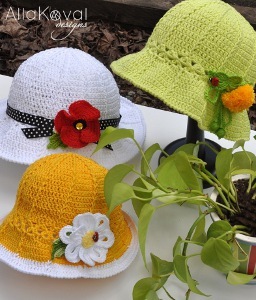 3.Garden Party Hat by Alla Koval from My Little CityGirl is a perfect base to embellish with ribbons or flowers. 4. 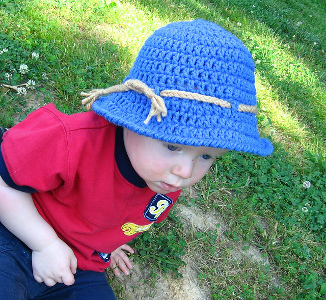 Sun Hat from Beginner-crochet-patterns.com is made with a nice breathable mesh stitch to keep little heads cool. 5. 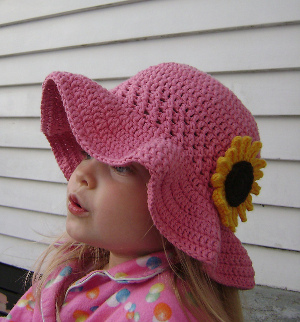 Adorable Ruffles by Sharon Maher from Laughing Purple Goldfish designs is a button-front sunhat made to fit a 2-3 year old. 6. 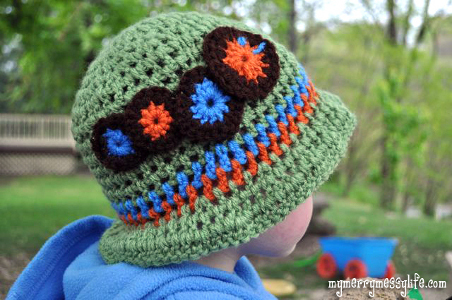 Caterpillar Toddler Sunhat by Sara McFall from My Merry Messy Life is colorful, fun, and totally boy-appropriate. 7. 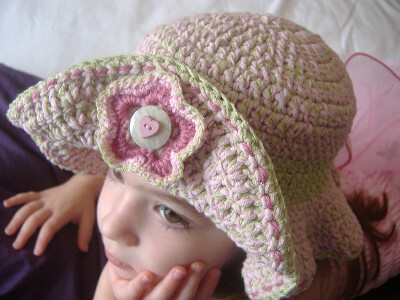 Toddler Sunhat by Corina Gray from Stitch11 has is simple and appealing – perfect for your little one! 8. 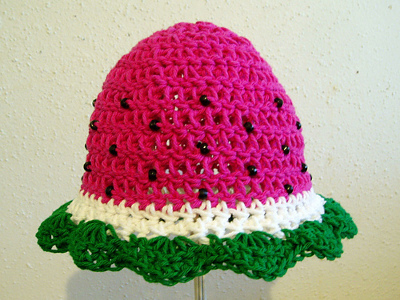 Juicy Watermelon Baby Hat by Kate Alvis from Ravelry is available for all sizes and is a sweet way to shield from the summer sun! 9. 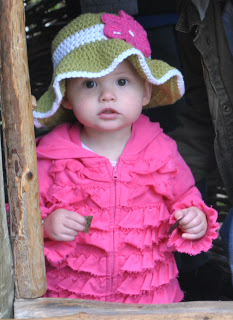 Granny Sun Hat by Sara McFall from My Merry Messy Life can be worked to any size in a variety of color patterns. 10. 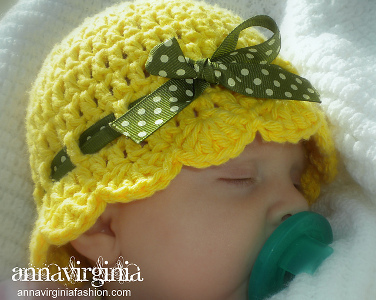 Baby Flapper Girl Hat by Anna Virginia from Anna Virginia Fashion is the perfect summer hat for a little girl, soft and loose and lovely. 11. Kid’s Sun Hat from Lion Brand is styled like a Panama hat, making it a particularly stylish choice for your child’s summer sun cover. 12. 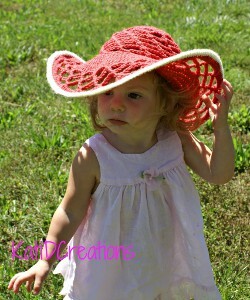 Belmont Sun Hat by Kati Donahue from KatiDCreations has wire crocheted into the brim to make it stand out – from the crowd, and from your child’s head. 13. 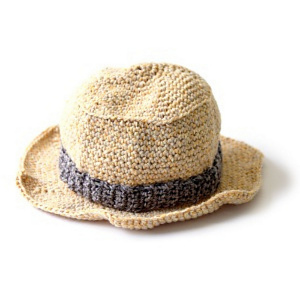 Ity Bitty Beach Bum Hat by Kiel Lemon from Just Down Lemon Lane is the great for a trip to the beach – simple, soft, and shady, it’s sure to be a favorite. 14. 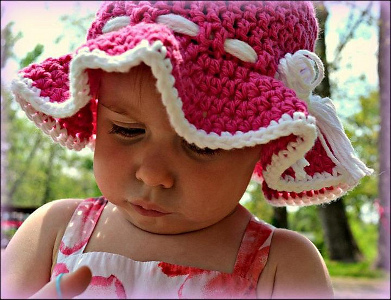 Little Lady Sunhat by Lindsey Niezgocki from 52 Weeks of Crafting comes in all sizes, with your choice of a cloche or sunhat brim. 15. 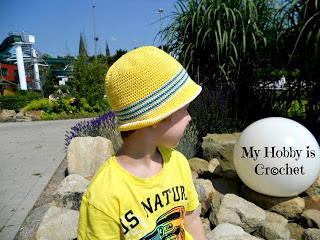 Ruffled Brim Sunhat by Leanne Growden from Hatting Madly Crochet stands out with the textured center band and sunflower. This entry was posted in Patterns, Round-up. What a wonderful thing to do! Maybe I’ll find stuffed animal patterns next.